The first Mickey’s Very Merry Christmas Party will take place tomorrow November 9th at the Magic Kingdom, and Disney has posted all the entertainment schedules and treat locations to help your planning. There is a new twist this year, with the park closing to day guests at 6pm. Hot chocolate and Snickerdoodle cookie at Cosmic Ray’s Cafe. Ariel and Prince Eric, rapunzel and Flynn, Cinderella and Prince Charming, Belle, Pooh and Friends, Seven Dwarfs,Snow White and Prince, Aurora and Prince Phillip, Elena of Avalor, Minnie Mouse, Scrooge McDuck, Donald and Daisy, Santa Goofy, Mary Poppins and Bert, Tiana and Naveen. With the holiday season just around the corner, the Walt Disney World Resort is quickly becoming a winter wonderland. Interested in learning the secrets behind this magical, festive transformation? The Disney’s Yuletide Fantasy and Disney’s Holiday D-Lights tours offer the chance to go behind the scenes of the astonishing annual decorating efforts throughout the Theme Parks and Resorts. 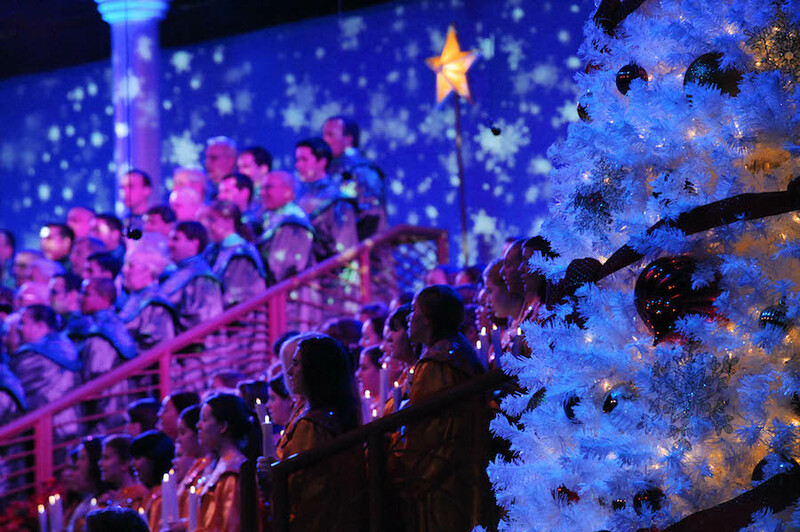 Disney’s Yuletide Fantasy takes you backstage to learn just how Walt Disney World Resort gets dressed up for the holiday season and watch the “elves” themselves, the cast members of Holiday Services at work. From holiday celebrations around the world at Epcot to the traditional trimmings of Main Street U.S.A. you don’t want to miss this dazzling wonderland of holiday secrets. Disney’s Holiday D-Lights is offered on 12 select nights throughout the season. 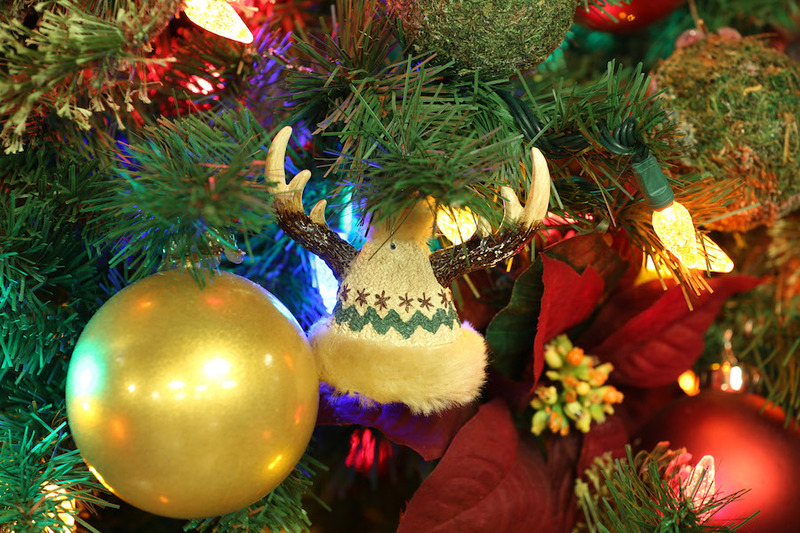 Meet with Event & Decorating Support cast members and discover how some of the most cherished holiday customs are brought to light at Epcot and Magic Kingdom Park. Learn how they decorate Cinderella Castlewith thousands of twinkling lights and experience the iconic Candlelight Processional. Don’t miss out on unwrapping the holiday magic! Disney’s Yuletide Fantasy and Disney’s Holiday D-Lights are only offered seasonally throughout November and December. Call 407-WDW-Tour for reservations. Can you put a price on Christmas happiness at the theme parks? Disney can, and it’s packaged up as a hotel and park ticket deal called Ultimate Disney Christmas. The new deal is for stays at select Disney hotels from Dec. 21-26 that include four days of theme park tickets and access to special events. The price for all of this can run a family of four as low as $139 per person per night or a total of $2,775, according to Disney’s website. That’s specifically if a room at Coronado Springs Resort was booked and the price is for two adults, one child ages 10-17 and one child ages 3-9. Other price points quoted include $3,721 for that same family to stay at Saratoga Springs Resort & Spa or $3,777 for stays at Disney’s Animal Kingdom Lodge. While exactly which rooms at which resorts beyond these three aren’t listed, it does include select moderate, deluxe or deluxe villa resort options. It excludes three-bedroom villas, the Cabins at Copper Creek Villas, Cabins at Disney’s Wilderness Lodge and Bungalows at Disney’s Polynesian Villas & Bungalows. Each person gets a four-day theme park ticket with Park Hopper option. It also includes tickets to Mickey’s Very Merry Christmas Party at the Magic Kingdom on Dec. 21, exclusive night access to Disney’s new Pandora — The World of Avatar at Animal Kingdom on Dec. 22, a character experience at Disney’s Hollywood Studios on Dec. 23, Christmas Eve dinner at Epcot and a holiday gift in your room on Christmas Day. While the deal does include the tickets, which are designed to work with the crammed holiday itinerary, they technically don’t need to be used until Dec. 31, 2018, and all four days need to be used within 14 days of the first use. Check in is Thursday, and Mickey’s Very Merry Christmas Party is that night. Check out is Tuesday, the day after Christmas. Details can be found at https://disneyworld.disney.go.com/special-offers/ultimate-christmas/details/ but booking has to be done before Dec. 10 and either through a travel agent or by calling Disney vacation help at 407-939-7886. There are limited numbers of rooms set aside for this deal. Continuing last year’s new format, there will be multiple shows, set to air throughout the holiday season, in November and December. Airing dates have not been announced yet. Filming at Walt Disney World will take place November 3 – 7. No parade will be filmed at Walt Disney World, like last year, but stage show performances including musical acts will be filmed in Florida. The parade will be filmed at Disneyland Resort in California. There will not be any tickets available to guests. Cast Members will be filling in the audience as extras. It may be possible to see parts of the filming from guest areas however. Disney will be bringing some new entertainment to Disney’s Hollywood Studios for the holidays this year.